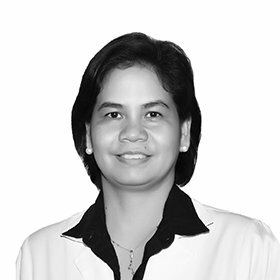 Dr. Maria Lalaine Cartago-Garcia (MD FPOGS FPSUOG Diplomate & Fellow Phil. OBGYN Society, Phil. Society of Ultrasound OBGYN) is having 16 years of continuous practice in the field of Obstetrics and Gynecology. Dr. Lalaine completed her 4-year Residency training in Obstetrics and Gynecology in an accredited Philippine Obstetrics and Gynaecology Society (POGS) and Sub-specialty training in Ultrasound of Obstetric and Gynecologic Cases accredited by Philippine Society of Ultrasound in Obstetrics and Gynecology (PSUOG), of both which she became a Diplomate and Fellow. She worked as a Consultant OB-GYN and Sonologist in 5 tertiary hospitals in Manila, Philippines and in continuous practice of Ultrasound OB-GYN dedicated Sonology for 13 years. Her knowledge and expertise of Ultrasound in OBGYN-dedicated cases are both for diagnostic and immediate intervention purposes.